N102AN in the hangar prior to delivery. 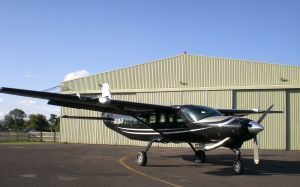 N208AX was sold within the UK to one of our lease clients for skydive operations. We re-painted N208AF in it's striking paint scheme after we had purchased it and sold the aircraft to a dropzone in the UK. In 2015 they went on to buy a second Caravan from us. 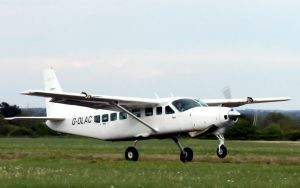 G-DLAC was sold outside the UK for skydive operations in France an is still operating for it's new owner, years later. 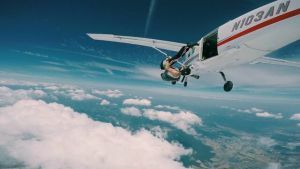 N208AJ was sold within the UK to one of our lease clients for skydive operations. N107AN was the next of the converted Cargomasters to go. We decided to paint the aircraft plain white this time, to give our customers the oppurtunity to put their own stamp on the aircraft. In this case this is exactly what they did and N107AN left for it's new home in France looking very smart with its new skydive livery. 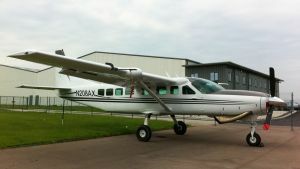 It's new owner has recently publicised: "LE CESSNA CARAVAN EST UN TOP AVION"
We bought 4 Cessna Cargomasters and decided to convert them to skydive aircraft. N103AN was the first to go to its new home and is happily skydiving in Austria. A few words from the new owner: "N103AN operated by PARA CLUB Wr. NEUSTADT​, delivered by Aerodynamics Ltd​... cool workhorse on duty" The picture of the aircraft in action at its new dropzone was also supplied by them. G-CGAW is a brilliant aircraft with plenty of added extras. It has worked well for us over the years. Before sale we decided that the paint scheme looked out-dated and a complete redesign was in order. We took our inspiration from the Beech signature scheme and ended up with and aircraft that really stood out on the ramp. 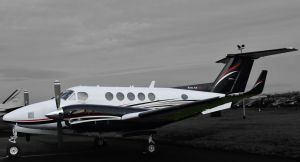 It is now flying for its new owner and always looks impressive on arrival at it's chosen destination. Click here to see more images from the same photographer. 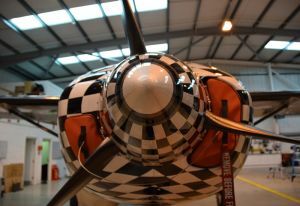 This aircraft had been operating in a skydive role in the UK, it has an eye catching paint job. A design that we used on its fleet support vehicle whilst it was in service. 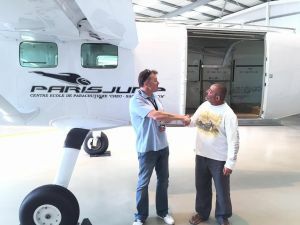 It is now enjoying its new home in France, dropping skydivers at dropzones all over the country. When we first acquired this aircraft, we decided (as with many of the aircraft we buy) that it needed a refresh before we put it on the market. The seats were re-covered in pewter leather, the carpets and sidewalls were replaced and the exterior had a fresh coat of paint. When a customer came along for the aeroplane they wanted to personalise it further, so we organised a redesign of the paint exterior and had a couch seat fitted to maximise space within the aircraft itself. 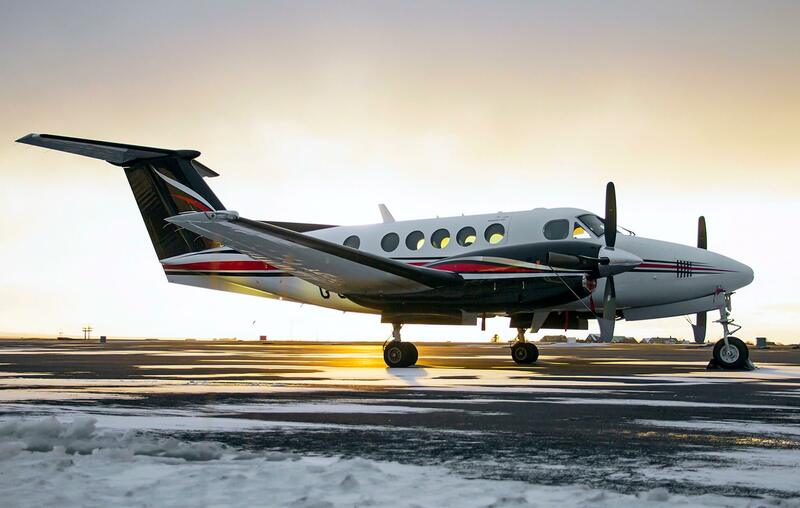 Much like G-CIFW we took great care in preparing the aesthetics of this aircraft before putting it on the market. 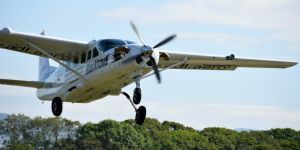 It is now based in the Isle of Man for it new owners and we often see it coming and going from our office window, overlooking the airport. 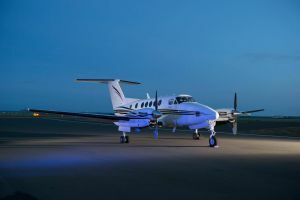 “I recently purchased a Beech 200 from Aerodynamics, on behalf of a consortium and was very impressed with the whole process, their knowledge of the product and support all the way through. Copyright © 2019 Aerodynamics Ltd.